so cool, my boys would love it. Much better than the real things! oh i might have to repost this! It's so fun!! Fantastic! It's gotta go on **something** for one of my nephews! How clever - I love it! This is sooooo charming - they would even be welcome at a picnic! delightful! brilliant! me gusta hormigas! Awesome. Some people are so flippin' creative, it makes my day. 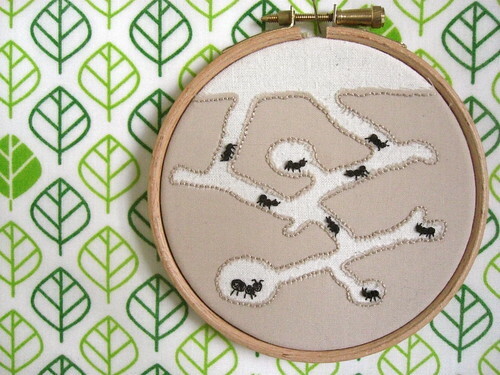 All the work on this blog is great but I especially love the ant farm - so original! such fun! my daughter has a book called 'Anthony Ant' which is full of ant farm mazes and she just loves it ... think I may have to use this idea myself!